How should the mobile industry address the vast business opportunity in connected smart homes? The researcher estimates that revenues from shipments of home automation systems in Europe and North America will grow at a compound annual growth rate of 25.4 percent from US$ 22.3 billion in 2017 to US$ 69.2 billion in 2022. Get a 360 degree perspective on the rapid evolution of the worldwide home automation market in this comprehensive 285 page strategy report. 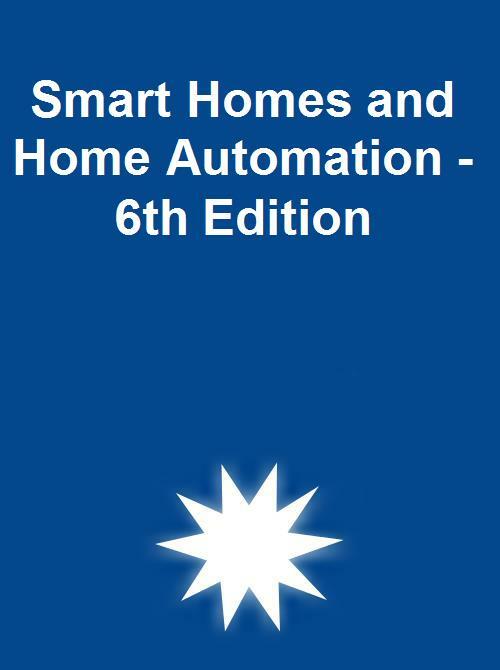 Smart Homes and Home Automation is the sixth consecutive report analysing the latest developments on the connected home markets in Europe and North America. This report in the M2M Research Series provides you with 285 pages of unique business intelligence including 5-year industry forecasts and expert commentary on which to base your business decisions. 360-degree overview of the smart homes & home automation ecosystem. Statistical data on adoption of smart home systems in Europe and North America. Updated profiles of the key vendors on this market. Which are the main verticals within smart homes and home automation? What are the main drivers behind growth in Europe and North America? What are the business models and channels-to-market for smart home solutions? Which are the leading whole-home system vendors in Europe and North America? How are product OEMs and whole home solution vendors positioning themselves? What home connectivity technologies are smart home system vendors betting on? What is the potential market size for cellular IoT in home automation? How will the smart home market evolve in the next five years? Smart Homes and Home Automation is the foremost source of information about the emerging market for connected home applications. Whether you are a product vendor, service provider, telecom operator, investor, consultant, application developer or government agency, you will gain valuable insights from our in-depth research. Figure 2.2: How many is too many? According to a new research report, the number smart homes in Europe and North America reached 45 million in 2017. The most advanced smart home market is North America, having an installed base of 22.3 million smart homes at the end of the year. This represents a penetration of 15.9 percent. Between 2016 and 2017, the market grew by 40.7 percent year-on-year. The strong market growth is expected to continue in the next five years. By 2022, the researcher estimates that more than 63 million homes in North America will be smart, meaning 44 percent of all homes in the region. The European market is still behind the North American, in terms of market penetration. There were a total of 22.5 million smart homes in Europe at the end of 2017. The installed base in the region is forecasted to grow to 84 million homes at the end of 2022, representing a market penetration of 35 percent. The most popular products on the smart home market include smart thermostats, smart light bulbs, smart security cameras, smart air conditioners, smart door locks, smart plugs and smart speakers. Well-known vendors offering these products include Nest, Signify, Belkin, D-Link, Assa Abloy, Haier, Sonos, Amazon and Google. On the North American market, interactive security systems have emerged as the most common type of smart home systems, representing 42 percent of all whole-home systems in the region at the end of 2017. The largest security providers include ADT, Vivint and Comcast. In Europe, traditional home automation systems and Do-It-Yourself solutions are more common as whole-home systems. eQ-3, Deutsche Telekom and Verisure are estimated to be the largest vendors of whole-home systems in the region. Smart speakers with built-in voice assistants have had a major impact on the smart home industry in 2017–2018. Amazon and Google are the major vendors of such devices, having a combined market share of over 90 percent. Many of the well-known smart home device and system vendors have made their products compatible with Amazon Alexa and Google Assistant in the past year. “Consumers want convenience and a lot of people buy smart home products in order to facilitate their daily lives” says Martin Bäckman, IoT Analyst. “A major reason why voice-controlled speakers have become so popular is that they simplify the control of smart home devices and enable for people to adjust lighting, temperature, multimedia and more from a unified interface” concluded Mr. Bäckman.